Spring Break – Atlanta Staycation Ideas! It is a secret, that Spring Break is the best week to stay in Johns Creek. The weather is gorgeous, the roads are empty and the restaurants are ready to serve outside on their patios. This is a great time to head downtown to see those often missed tourist destinations at a reduced price. CityPass Atlanta offers a great way to visit the attractions in Atlanta, saving 40%! Georgia Aquarium is a fun place to visit! Sea Dragon feedings and Penguins paddling nearly every day. 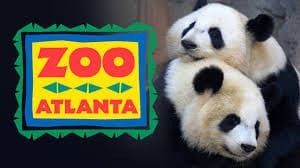 Zoo Atlanta has more than 1000 animals from all around the world. Spring Break is a great time to visit before it gets too hot. In the summer the animals aren’t as active, as they are now. Bring your kids bathing suits and towels! Splash Mountain is open, Zoo Atlanta’s splash pad. They also have Treetop Trail, an aerial playground, great for kids of all ages. 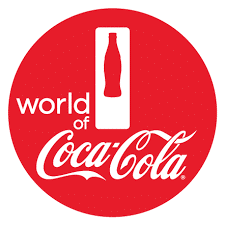 World of Coca-Cola offers a unique experience. Learn the history behind the world famous brand, headquartered here in Atlanta. They have multiple exhibits and you can sample lots of different beverages and combinations. Atlanta History Center offers insights into the history of Atlanta with revolving exhibits. There is always something new to see and learn. Additional Spring Break – Atlanta Staycation Ideas if it is raining: CNN Studio Tours, Center for Civil and Human Rights, Fernbank Museum of Natural History and College Football Hall of Fame.